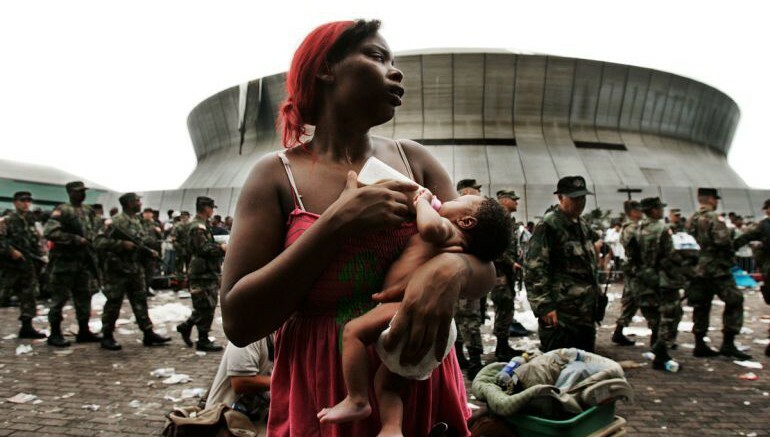 Almost a decade ago, on August 28, Hurricane Katrina hit the coasts of the Gulf states, taking with it the lives of over 1,200 people. With total property damage amounting to nearly $108 billion, the storm is generally regarded as the deadliest in the history of the United States. 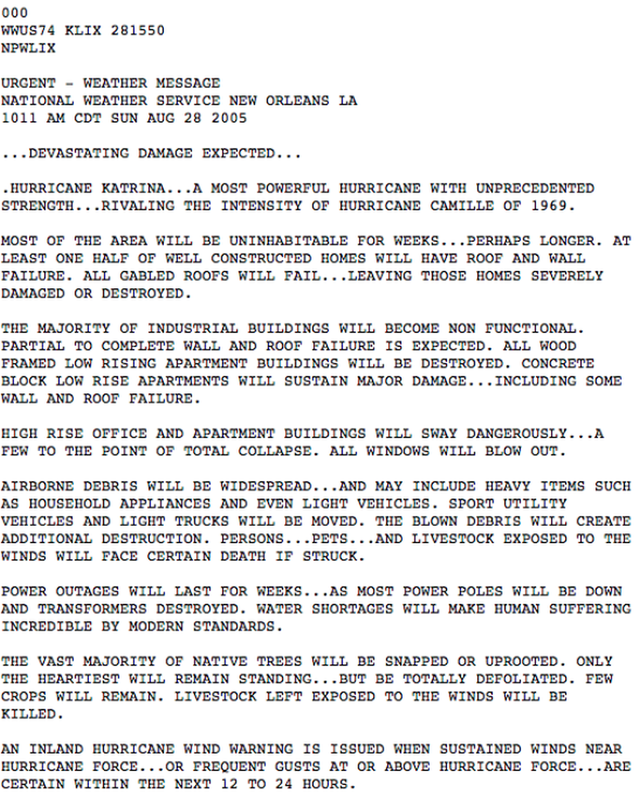 At the time, Robert Ricks, a meteorologist at National Weather Service’s Louisiana office, issued a moving piece, whose urgent eloquence and bold statements have since changed the way weather forecasts are written. On that particular fateful day, when I issued that product … I was awestruck. We hope we never have to use it again. My career is fulfilled if I never have to do this ever again, trust me. Over the years, the forecast’s intensely evocative style has been adopted, and even encouraged, by the National Weather Service, as a way of impelling people to take immediate action at the time of emergency. A famous example is Gary Szatkowski’s impassioned appeal, issued when Hurricane Sandy hit New York City, which contained hauntingly powerful statements, such as “if you are still reluctant (to evacuate), think about your loved ones”.